Sometimes we get totally invested in a character only to have our hearts broken when that character suddenly dies in a completely unexpected way. Whether we weren’t expecting anyone to get killed off, or the death itself is totally random, we just didn’t see it coming. Obviously, spoilers await you. The Big Lebowski is easily the best movie ever made in which almost nothing happens or gets resolved. After a series of wacky misunderstandings, faked kidnappings, and a bowling ball fight with Flea of the Red Hot Chili Peppers, soft-spoken Donnie (Steve Buscemi), comedy sidekick to The Dude (Jeff Bridges) and Walter (John Goodman) suddenly collapses in a parking lot, dead of a heart attack. 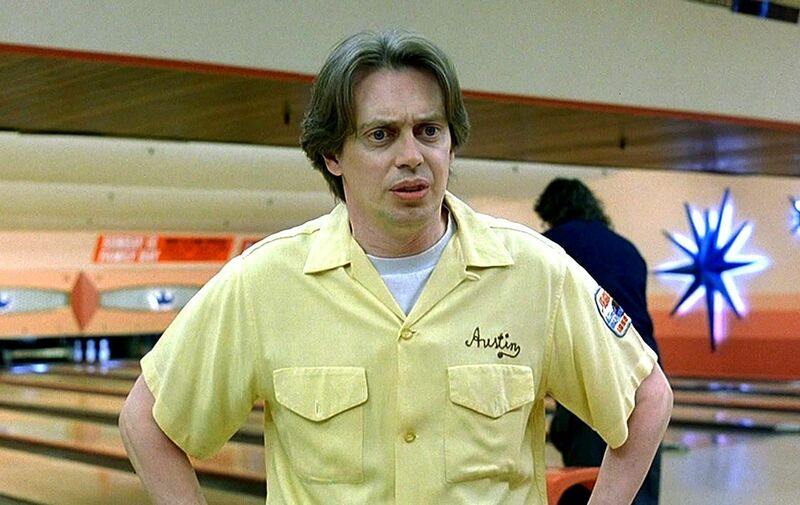 It’s far from shocking that a character would die in a Coen Brothers movie, let alone one played by Buscemi, but the film is irreverent and relatively lighthearted. Donnie dies with minutes left in the film for absolutely no reason, as if the directors suddenly remembered they were legally obligated to leave no Buscemi alive. 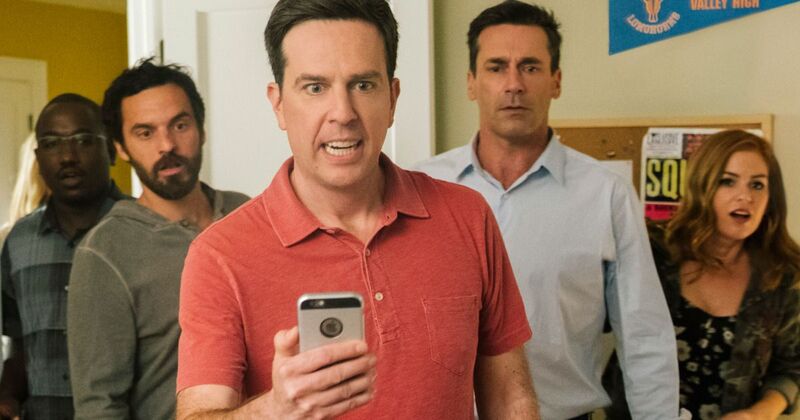 Technically, Ed Helms’ character Hoagie in Tag doesn’t actually die, but the film ends with the sudden revelation that he has terminal cancer, which is the reason why he’s been pushing his friends to try and tag the untaggable Jerry (Jeremy Renner) before Jerry gets married and retires from the game. The movie is a broad slapstick comedy, so it cannot be stressed how thunderously out-of-the-blue it is to suddenly tell the audience that the main character has been dying of cancer this whole time. The movie ends with the gang playing tag in the cancer ward, never indicating whether or not Hoagie is going to survive. It’s… it’s a real bummer, you guys. Ned Plimpton (Owen Wilson) is an airline pilot trying to connect with famed undersea documentarian Steve Zissou (Bill Murray), a man who may or may not be Ned’s father. After tracking a giant shark and rescuing Jeff Goldblum from villainous pirates, Ned suddenly dies in a helicopter crash. The fact that the helicopter is a piece of junk is a running joke throughout the film, one that we definitely weren’t expecting to be paid off with the death of a major character. Also, the crash happens during a nice, quiet moment between Ned and Steve, not in the middle of a high-stakes action sequence. It’s like Poseidon suddenly became furious with them and decided to destroy their helicopter. In Zack Snyder’s Man of Steel, the movie that launched a thousand memes, Superman (Henry Cavill) stops the villainous General Zod (Michael Shannon) from vaporizing a bunch of hapless Metropolis citizens by snapping Zod’s neck so hard a visible shockwave erupts from his alien corpse. It’s not necessarily shocking that the bad guy in an action-packed superhero movie would get murked before the end credits, but audiences were more than a little surprised to see the Big Blue Boy Scout, the Man of Steel himself, kill someone with his bare hands. The third installment of the original X-Men trilogy notoriously features the deaths of several major characters, including Jean Grey (Famke Jansen), Professor X (Patrick Stewart), and Kelsey Grammer’s dignity. But the genuinely shocking turn was when team leader and second most-famous X-Man Cyclops (James Marsden) is killed in the first ten minutes of the film. Apparently, the producers were upset with Marsden for deciding to take a role in Superman Returns, which was filming at the same time. So, rather than trying to work around Marsden’s schedule to allow the fan-favorite Cyclops to actually be in the movie, they unceremoniously kill him off before the movie even really starts. Money man Russell Franklin (Samuel L. Jackson) is paying a bunch of eggheads to try and find a cure for Alzheimer’s. For reasons that are never adequately explained, this involves genetically engineering a team of super sharks at an undersea base. When the sharks inevitably break loose, Franklin attempts to rally the survivors with an inspiring speech, only to have a shark explode into the room and bite him in half mid-sentence. 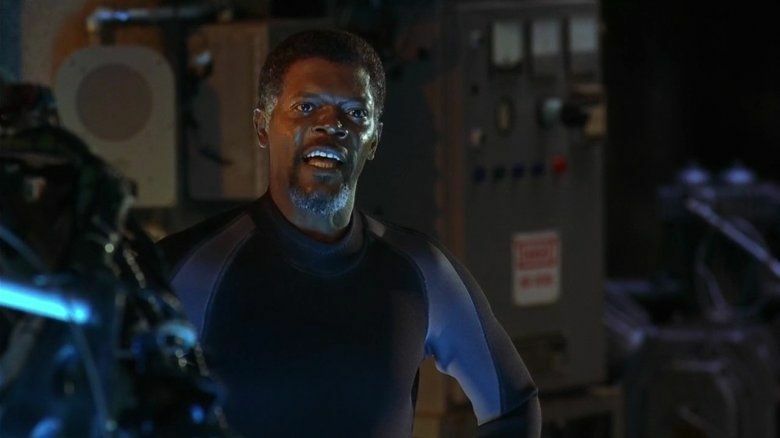 This scene has been parodied and duplicated so many times that it’s easy to forget how truly unexpected it was to see the only A-list actor in the film get brutally shark-murdered in the middle of his hero speech. 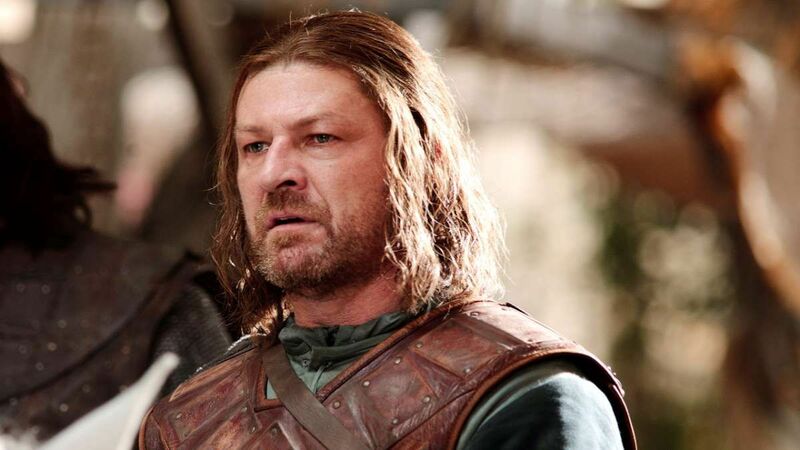 It’s weird to think about it now that he’s been dead for pretty much the entirety of Game of Thrones, but the sudden de-headification of Ned Stark (Sean Bean) was pretty shocking when it happened just nine episodes in. Up to that point, Ned had been the main character and the show’s moral center. Ned’s death was heartbreaking and unexpected, but it emphatically taught us the rules of Game of Thrones – literally anyone can die at any time, no matter how much you like them or how major of a character they seem to be. It’s an important lesson that also applies to real life. 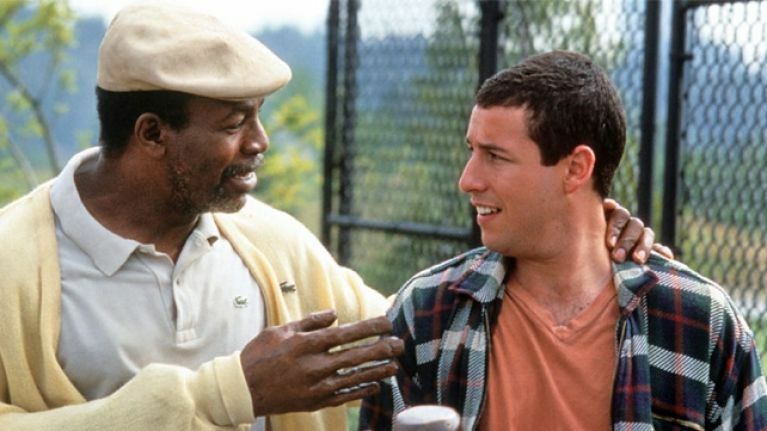 Chubbs (Carl Weathers) is an aging former golf pro trying to teach violent eternal manboy Happy Gilmore (Adam Sandler) how to win without assaulting anyone. Happy presents Chubbs with a severed alligator head to show his gratitude, but the gift horrifies Chubbs so badly that he falls out of an open window to his death. In fairness, Chubb’s death is played as a joke, and he comes back a few times as a ghost to encourage Happy, so it isn’t totally out of synch with the film’s wacky tone. But “watching a beloved character actor suddenly fall out of a window” wasn’t high on the list of things we expected to see in the latest Sandler comedy. M. Night Shyamalan took 19 years to make a sequel to his 2000 film Unbreakable, bringing together Mr. Glass (Samuel L. Jackson), David Dunn (Bruce Willis) and Split’s Kevin Wendell Crumb (James McAvoy) for an exciting showdown between real-world superheroes. Then all three of them die in a parking lot. 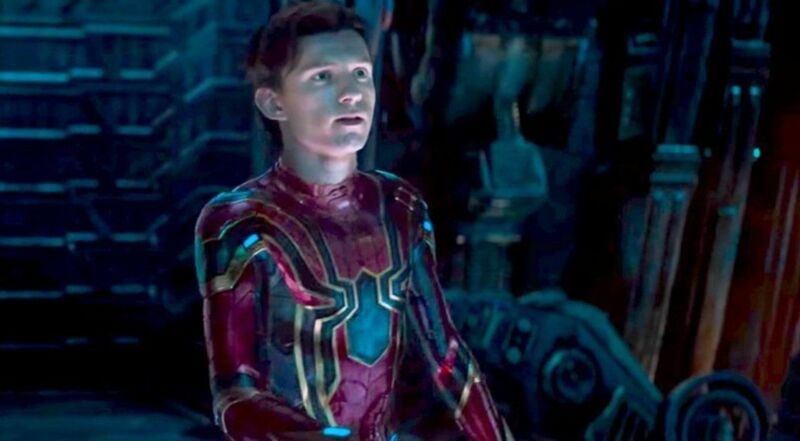 Of all the many, many spontaneous dustings triggered by Thanos (Josh Brolin) and his meaty finger snap, none hurt as much as Spider-Man (Tom Holland), mostly because we didn’t believe Marvel would actually make us watch a teenage boy die. Not only does Spider-Man turn to dust at the very last minute, right when we think the worst of it is over, but he turns to ash in Tony Stark’s (Robert Downey, Jr.) arms, begging Stark to stop it from happening. The pluckiest, most charming superhero ever created passes into oblivion in terrified agony. Thanks, Disney! Human notebook of terrible poetry James Franco played Captain Branson in Alien: Covenant, although you probably had no idea. Branson gets burned to death in his space bed in the opening moments of the film before we even see his face clearly. It was a shocking disappointment to all the Franco-heads who’d bought a ticket. 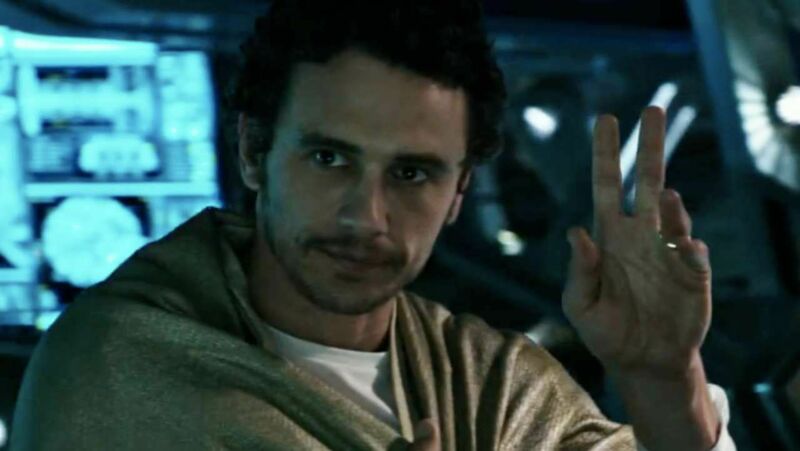 Next to his Pineapple Express costar Danny McBride and Michael Fassbender, Franco is the most recognizable actor in this film. We didn’t necessarily expect him to last the whole movie, but we definitely expected him to actually speak a line or two of dialogue before he got smoked. Scumbag gambler Conor O’Neill (Keanu Reeves) has to coach an inner-city little league team in order to satisfy his considerable gambling debts. 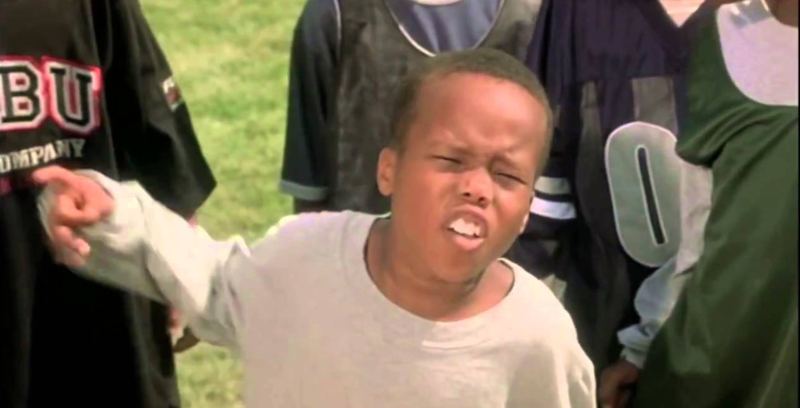 It’s a pretty standard Bad News Bears meets The Mighty Ducks “sleazy coach warms up to rascally kids” movie, until G-Baby (DeWayne Warren), the youngest member of the team, gets killed by a stray bullet in a drive-by. Imagine Space Jam if Porky Pig was suddenly killed by a drunk driver, or Little Giants if Rick Moranis got trapped in a factory explosion on his way to the big game. Absolutely no one who went to see Hardball, a little league comedy-drama starring Ted “Theodore” Logan, was expecting to see an 8-year-old boy get shot to death. Landfill (Kevin Heffernan) is one member of the heroic American Beerfest team training to defeat the reigning champion German team in a head-to-head display of thrilling alcoholism. It’s a wildly outlandish comedy in line with other Broken Lizard movies like Super Troopers until, halfway through the film, Landfill drowns in a vat of beer. What’s shocking about Landfill’s death isn’t just the abruptness of it, or how out of place it is in a movie about a bunch of middle-aged men competing in the Substance Abuse Olympics, but that he is immediately replaced by his identical twin brother Gil. Gil then insists the rest of the team just refer to him as “Landfill,” thus completing what might be the greatest joke ever captured on film. Based on the short-lived TV series Firefly that every one of your friends with a replica sword in their apartment won’t stop talking about, Serenity follows a crew of chaotic good rogues as they attempt to uncover an intergalactic conspiracy. Right as the final act of the film is beginning, wisecracking pilot Wash (Alan Tudyk) is shot with a gigantic harpoon by space cannibals. Wash wasn’t just a major character – he was just about everyone’s favorite character. He doesn’t even get a tear-jerking death scene or some poignant final words. He’s just suddenly dead, with an enormous spike in his chest. Fans of the show who had been waiting years for this movie left the theater in silence and didn’t speak again until the following morning. 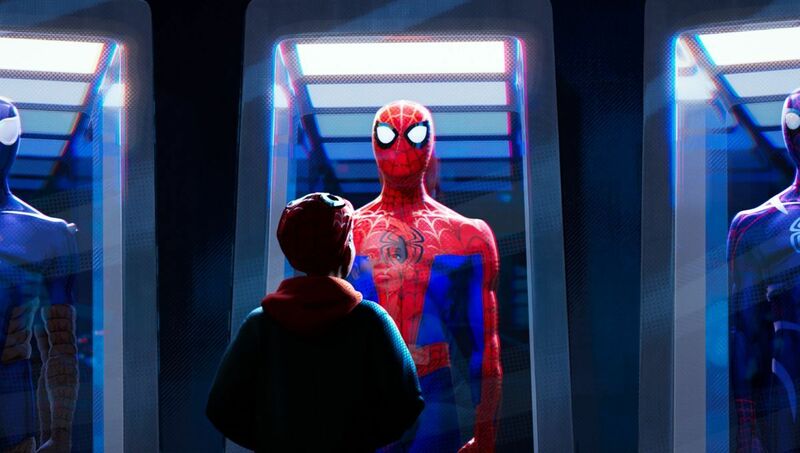 Spider-Man: Into The Spider-Verse features no less than seven different Spider-Persons from alternate dimensions coming together to stop the Kingpin (Liev Schreiber) from collapsing the universe to try and… um, resurrect his dead wife and child. It’s pretty grim, but that pales in comparison to watching Kingpin beat one Spider-Man to death in the first 15 minutes. Being not only an animated movie, but an animated movie about your friendly neighborhood Spider-Man, we did not expect to see the webslinger get his skull caved in by the Kingpin of Crime minutes after opening our box of Sno-Caps. And that’s just the beginning of this excellent but decidedly somber Spider-Man movie. The Flintstones was the first live-action adventure of America’s favorite half-naked cavemen that entirely too many people thought was a good idea. 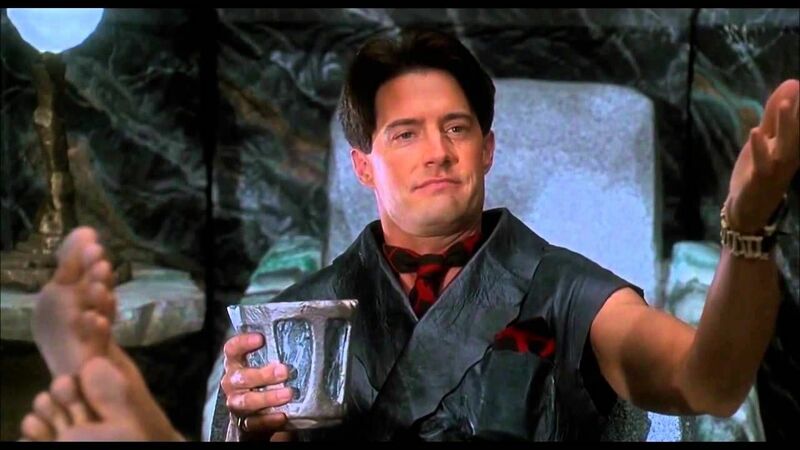 Patriarch Fred (John Goodman) gets swindled into working for the slick Cliff Vandercave (Kyle Maclachlan), who intends to embezzle a bunch of money and frame Fred. But Vandercave’s scheme is uncovered and he gets a truckload of cement dumped on his head, freezing him into a statue. Marvin (Phil LaMarr) helps hitmen Vince (John Travolta) and Jules (Samuel L. Jackson) infiltrate a gang of lame thieves and reclaim a briefcase that either contains a bunch of gold Rolexes or a human soul. As they’re driving away, Vince turns around to ask Marvin a question and accidentally shoots him directly in the face. Marvin’s death has become one of the most memorable moments in film specifically because it’s so unexpected that it’s actually kind of funny. It’s also the catalyst that launches the segment “The Bonnie Situation,” which is the only chapter of Pulp Fiction that’s strictly comedic, suddenly shifting the tone of the film. Bullet Tooth Tony (Vinnie Jones) is the legendarily invincible enforcer hired to recover a valuable diamond. After engaging in a series of charming acts of thuggery, including dragging a man from his car, dispatching another seemingly-invincible enforcer named Boris the Bullet Dodger (Rade Šerbedžija), and scaring a group of hapless thieves away with nothing but a speech, Tony is accidentally shot offscreen by a panicked old man chasing a dog. Obviously, having Bullet Tooth Tony get accidentally killed by a guy trying to shoot a dog was intended as a joke by director Guy Ritchie, and the joke works specifically because it’s so unexpected after Tony spends the entire movie as an indestructible wall of hooliganism. In Cube, a bunch of strangers wake up in a futuristic prison, constructed of a maze of booby-trapped, cube-shaped rooms. One of the strangers introduces himself as legendary escape artist The Wren, who has broken out of seven maximum security prisons, and assures the others he can outsmart the Cube. He then immediately triggers a trap and gets his face melted by acid. This happens in the opening few minutes of the film, while we’re still being introduced to the characters, so we naturally believe that the expert of prison escape is going to last longer than it takes to run to the fridge and grab a soda. The Wren’s death is meant to communicate the severity of the Cube’s defenses, which it does by shocking everyone who looked up from quickly refreshing Twitter to see an old man get showered with acid. 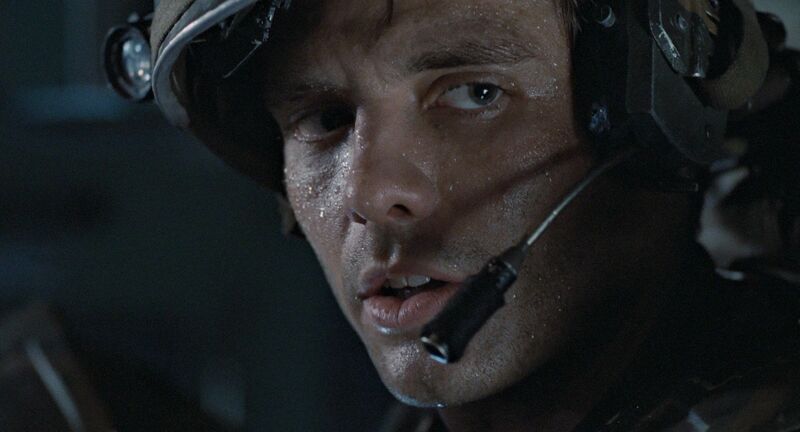 Space marine Hicks (Michael Biehn) and raggedy child survivor Newt (Carrie Henn) ride off into the intergalactic sunset with series hero Ellen Ripley (Sigourney Weaver) at the end of Aliens. Ripley has essentially adopted Newt and senses a kindred spirit in Hicks, so it seems as if she’s finally being rewarded for all the slithering razor insects she’s had to battle for the past two films. And then Alien 3 came out and kills Newt and Hicks offscreen before the opening credits have finished. This was a big shock to pretty much every Aliens fan who had spent the past several years dreaming of where the next film in the series would take these characters. Especially brutal was the death of Newt, considering Ripley’s arc in the previous film was centered entirely around rescuing the young girl from a teeming hive of cosmic horror. Cop Out is a remarkably terrible film in many ways, not the least of which is its wildly inconsistent tone. In this alleged comedy, two police detectives (Bruce Willis and Tracey Morgan) kidnap a cat burglar named Dave (Seann William Scott) and try to use him to steal back a valuable baseball card. But Dave immediately slips and falls out of a tree during his break-in attempt and is killed instantly. It’s played as a joke, but it never comes anywhere near being funny. Scott is a charming comedic actor, and his brief role as Dave is one of the only bright parts of the film. His death comes out of nowhere and dooms us to an hour of watching Morgan trying his best to play off of a thoroughly bored Willis. In what may have quite possibly been the first viral video, an unnamed man (Brad Pitt) has a delightful conversation with Susan (Claire Forlani) in a coffee shop. He then walks outside and is immediately, spectacularly struck by two cars. 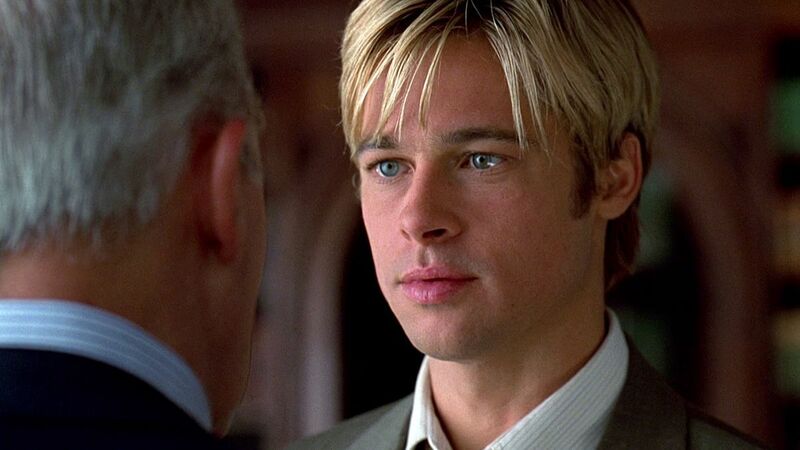 It is the deadest Pitt has ever been on film. “Struck” is a gentle word. Pitt goes completely airborne and is bounced between the two cars like a cat toy. When people settled in for a three-hour romantic drama starring one of the biggest stars in the world, the absolute last thing they expected was to see that aforementioned star get erased from time and space in a car accident. City of Angels tells the story of an angel named Seth (Nicolas Cage) who falls in love with Dr. Maggie Rice (Meg Ryan) and gives up his immortality to be with her. Literally the day after this happens, Maggie is hit by a truck while riding her bike and dies. It’s a real Gift of the Magi situation. Believe it or not, Cage used to make sweeping romantic dramas, and this seemed like it was going to be another typical mid-90s “will-they-won’t-they,” albeit with a celestial being. We certainly didn’t expect to see America’s Sweetheart Ryan, the darling of romantic comedies, get demolished by a logging truck. 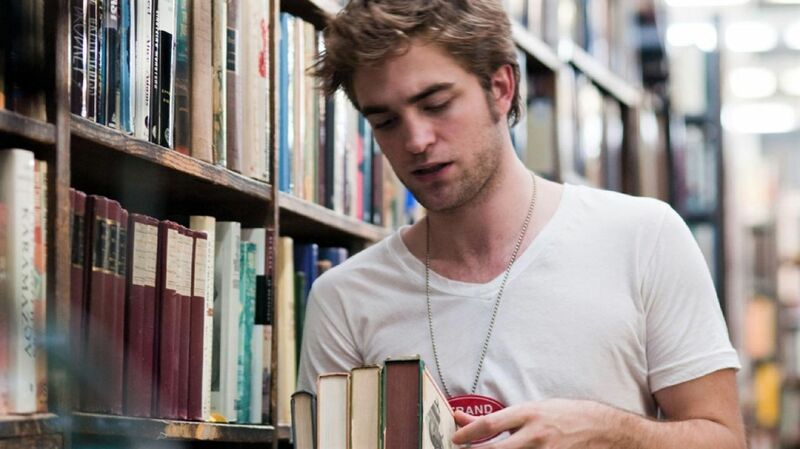 We pick on Remember Me a lot, because it is a bizarre, demented film. Tyler (Robert Pattinson) has finally begun repairing his estranged relationship with his father Charles (Pierce Brosnan), and is waiting patiently in his dad’s penthouse office to speak with the lawyers at the family law firm, when the camera slowly pulls out to reveal that he is on the top floor of the World Trade Center’s North Tower on the morning of September 11th, 2001. This movie should be illegal. It cannot be stressed enough how absolutely nothing this movie has to do with 9/11. The fact that the movie is set in the past never seems to matter, so most of us forget that it wasn’t meant to be contemporary until that final, baffling revelation. It’s like making a coming-of-age drama about a bunch of angsty teens and then revealing that one of them is an astronaut on the Challenger. Undercover cop Billy Costigan (Leonardo DiCaprio) successfully infiltrates a Boston crime family and is about to bring crooked cop Colin Sullivan (Matt Damon) to justice. As he’s leading the handcuffed Sullivan to jail, the two step out of an elevator and Costigan is immediately shot in the head by another crooked cop (James Badge Dale), whom we didn’t even know was crooked until this very moment. Costigan barely finishes speaking a heroic line of triumph before he is killed, so we’re already thrown off guard. Then we get to watch several more minutes of Sullivan sleazing his way out of trouble before finally returning to his apartment to get ambushed by Dignam (Mark Wahlberg), one of Costigan’s superior officers, who shoots Sullivan mid-sentence. This movie is a carousel of major characters suddenly getting shot in the face. Joss Whedon’s Serenity was full of surprising character deaths, because Whedon seems to enjoy the delicious tears of his longtime fans. 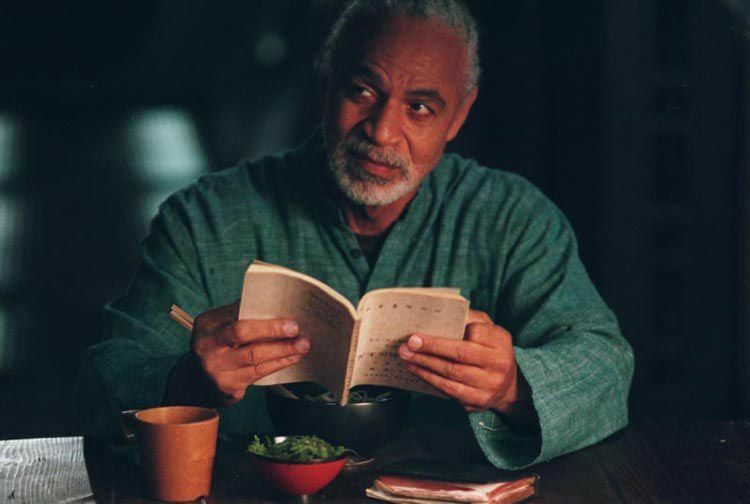 Shephard Book (Ron Glass), the kindly old preacher with a mysterious past who dispenses wisdom to the crew of Serenity, gets fatally wounded offscreen and dies in Captain Reynolds’ (Nathan Fillion) arms. Book’s death was shocking for a few reasons. 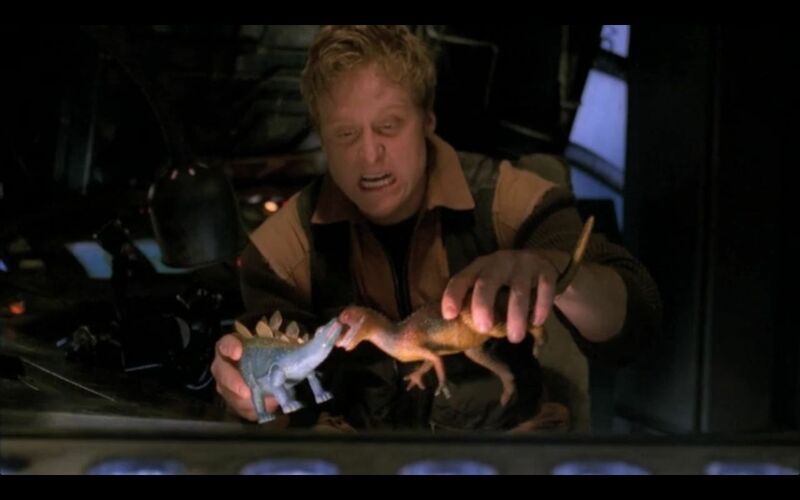 On the original series Firefly, Book was the moral center, basically acting as everyone’s dad (or grandad), so killing him off was pretty heartbreaking. Second, longtime fans never got to learn about Book’s past, which was something to which both the show and the movie alluded. Third, he’s barely even in the movie long enough to die. Who hurt you, Joss? 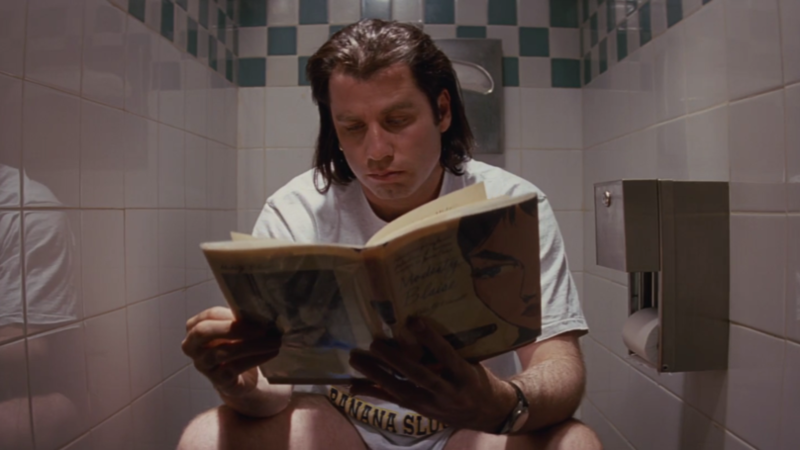 Vincent Vega (John Travolta) is more or less the main character of Quentin Tarantino’s Pulp Fiction. This slouching hitman shows up in every one of the film’s chapters, including the memorable sequence in which he does the twist with Uma Thurman’s Mia Wallace and then stabs her in the heart with an adrenaline shot to snap her out of a heroin overdose. About midway through the film, a boxer named Butch (Bruce Willis) is on the run after ripping off the mob and stops at his apartment, only to find Vincent pooping in his bathroom. Butch machine-guns Vincent to death and leaves, and the audience is left in stunned silence. Pulp Fiction’s style of time-shifting narratives has been endlessly duplicated since the film’s release, but back in 1994 it was pretty new, so audiences were more than a little confused when the main character was suddenly killed in the most unceremonious way imaginable, only to reappear in the very next chapter. 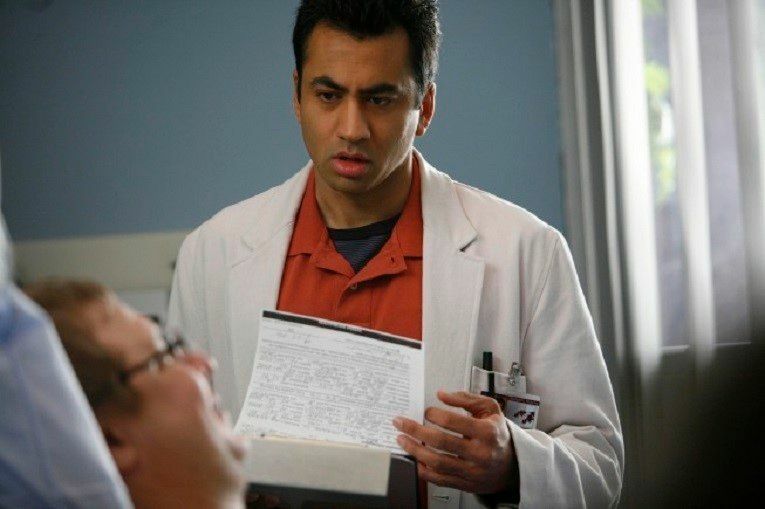 Kal Penn was a series regular on House, playing Lawrence Kutner, one of the fellows working with the titular Dr. House (Hugh Laurie). Kutner was a fan-favorite character who would often beat House to the punch by making wild Sherlockian diagnoses that improbably turned out to be correct. Then, midway through the 5th season, Kutner abruptly shoots himself in the head. Penn had just been hired to work in the White House, like, in real life, so he asked to be written off the show. The writers’ solution to his request was to just start an episode with Kutner’s super dead body lying facedown on the floor like a drunk person. It’s so abrupt that even Dr. House refuses to accept it, insisting that Kutner must have been murdered. But no, he wasn’t. The first Mission: Impossible film featured a star-studded IMF team, including Tom Cruise, Kristin Scott Thomas, and Emilio Estevez. So imagine audience’s surprise when every single member of the IMF team save Cruise himself is killed during the first mission. The chaos begins when tech specialist Jack (Estevez) gets stabbed in the face by gigantic elevator spikes, devices we are fairly certain do not actually exist. 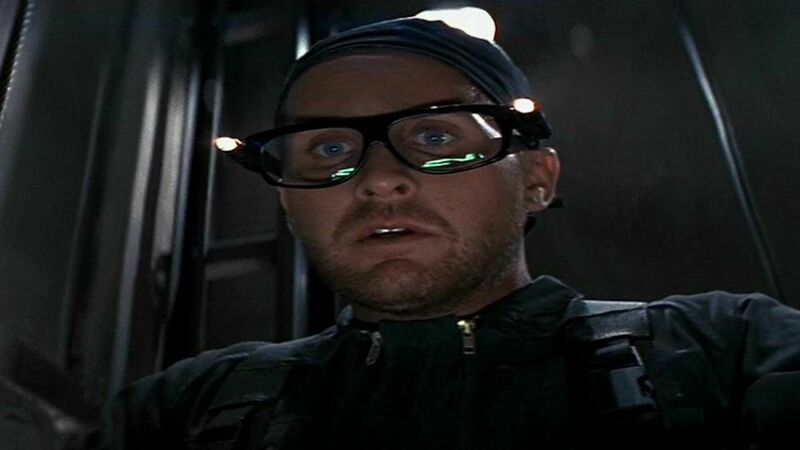 Estevez was a pretty recognizable face in 1996 (he’d just done three Mighty Ducks movies), so introducing him as a member of the team had us fully expecting him to join in on the majority of the adventure. What we did not expect was to watch an elevator suddenly unleash a set of retractable claws and crush him to death. Prince Oberyn (Pedro Pascal), the Red Viper of Dorne, delighted Game of Thrones fans for nearly the entire fourth season. He agrees to fight for Tyrion (Peter Dinklage) in a trial by combat against the fearsome Gregor Clegane (Hafþór Júlíus Björnsson), because Clegane murdered his sister years before. Oberyn takes Clegane to clown school, thoroughly dismantling the man, but just when he is about to deliver the killing blow, Clegane trips Oberyn, gouges his eyes out, and pops his skull like a pimple. 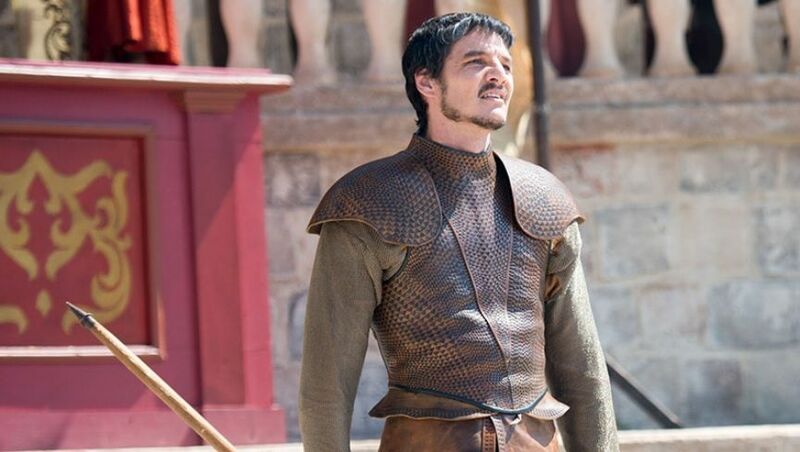 To label Oberyn’s death as “unexpected” doesn’t quite do it justice. Sure, anyone can die at any time in Game of Thrones, so the notion that a fan-favorite character might get killed wasn’t out of the question, but the cartoonishly graphic manner of his passing remains the most psychotic thing that has happened on the show. Nobody saw that coming.